In a recent interview with Gamescom regarding Quakecon, Bethesda’s marketing VP – Pete Hines – revealed that they won’t be able to make anymore more Fallout 4 Pip-Boy Editions due to lack of resources and time, but don’t worry, as we might not need Bethesda in the end. Yvo de Haas – gamer and fan of the Fallout franchise – was kind enough to release his 3D plans of how to make a Pip-Boy 3000 Mark IV, a.k.a. that phone holder that everyone wants. This version of the Pip-Boy, like the one from Bethesda – was designed to house a smartphone, meaning that you’ll still be able to communicate with Fallout 4 through a mobile app as your arm will serve as its supporter. Though the Pip-boy 3000 Mark IV will have its differences from Bethesda’s official model, like the lack of any bell and whistles, but will have a couple of orange leds and will be accepting tapes but they’ll still do nothing. Yvo de Haas is now trying to create a Pip-Boy version more like the game’s version but won’t be compatible any smartphone so the Pip-boy can have a size more authentic. 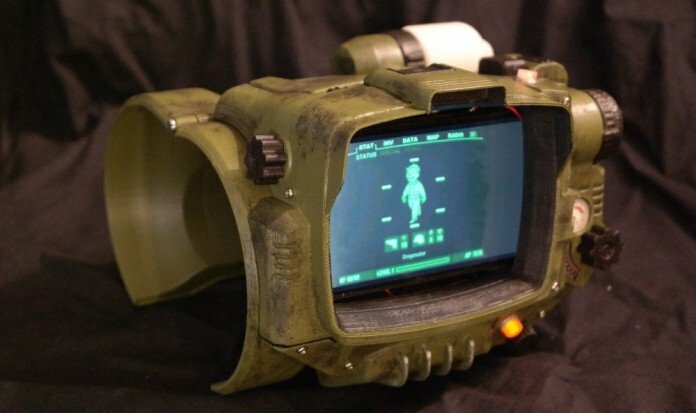 This isn’t the first Pip-Boy recreated by Haas, as his was the Pip-Boy 3000 from Fallout 3 and New Vegas. And don’t forget, for more on Fallout 4 and Pip-boy-related, stay tuned to VGamerZ.